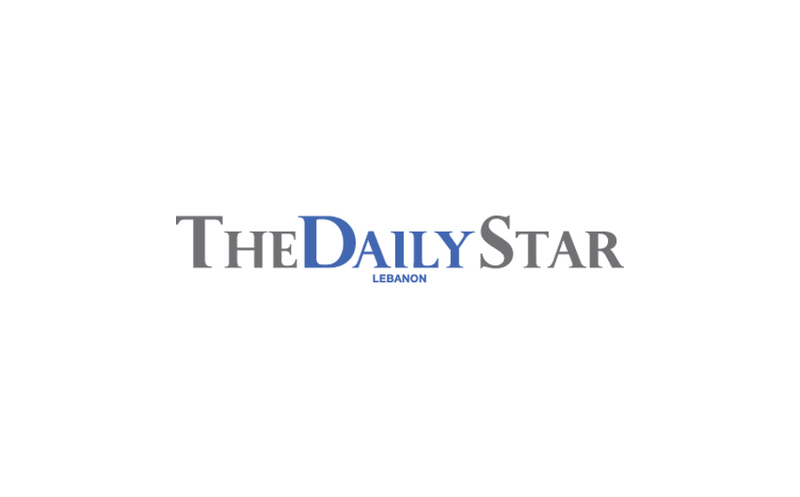 BEIRUT: A single, legal case of organ donation every year isn’t an enviable track record, but it clearly indicates that Lebanon has nowhere to go but up. “There have been only five legal organ donations in the last five years,” Dr. Antoine Stephan told Friday’s First Media Forum on organ and tissue donation, to raise awareness about the situation of organ donations locally. The day-long event was sponsored by the Spanish Agency for International Development Cooperation (AECID), Spain’s Donation and Transplant Industry (DTI), and Lebanon’s National Organization for Organ and Tissue Donation and Transplantation (NOOTDT-Lb). It was the first event of its kind, mobilizing local media in the battle to communicate the importance of organ and tissue donation to the public. AECID and DTI are both organ donation organizations that are based in Barcelona, Spain, the leading country when it comes to organ donors, with 34 donors per 1 million citizens. According to Stephan, Lebanon’s rate is a woeful 0.3 donors per 1 million people. Joining Stephan, who serves as the vice president and project director of the NOODTD-Lb, were Health Minister Mohammad Khalifeh, Dr. Frank Van Gelder, doctor and consultant for DTI, Dr. Aser Garcia Rada, a pediatrician and freelance journalist based in Barcelona, Maguy Aoun, a journalist with LBC television. Van Gelder outlined the goals of the form and efforts of its Spanish sponsors, which can boast of their achievements in Europe. “Spain has such a high donation rate because the doctor’s responsibilities do not end with the death of the patient,” Van Gelder said. Van Gelder also stressed the importance of a role for the government, stating that organ donation would “never happen” if it lacked official support and oversight, citing areas such as medical insurance and re-imbursement. If the deceased didn’t sign a consent form agreeing to donate his or her organs, doctors must approach the families and ask for their consent during their time of grief, which he called “the hardest part” of an organ collector’s job. Out of 34,454 organ donations in the European Union between 2005 and 2008, 6,182 were Spanish, he said. Dr. Stephan pledged that Lebanon would adopt the Spanish model for organ donation, in a drive supported by the Health Ministry and the Spanish organizations. “It’s not going to happen overnight, it took Spain 30 years to become the way it is now,” said Garcia Rada. After the speakers gave their presentations, interviews were conducted with two organ recipients, Hamama Lesha and Dr. Mohammad Ghobris, along with a man who declined to give his name, as he is currently on the waiting list for a heart transplant. “I am two years, three months old,” said Lesha, referring to her rebirth after a successful transplant. She received a kidney after spending 17 years on a waiting list. Upon learning of her illness when she was 21, Lesha kept telling herself “tomorrow it will work out, hold on,” but the promised operation never came to pass. “One day I got a call and they told me that they had found a donor and I could receive a kidney and I couldn’t believe it,” she said. Lesha described the new life that she was now living, and her profound gratitude to the family of the organ donor, whom she always includes in her prayers. Ghobris, the father of two daughters, was also a recipient of kidney transplant. “My kidney failed in 1995 and I received my new kidney in 1997, and I am forever thankful. I am back on my feet now, I work 15 hours a day and I love it,” said the journalist. The man who remains on the waiting list for a new heart discovered his need for a transplant after he fell ill, with symptoms resembling a common cold, and got a checkup. A father of a one-year old girl, the man’s heart is currently functioning at 20 percent, and he is on a pacemaker. His story of re-birth, however, is considerably more harrowing, as he still awaits word that a donor is found. “I’ve died and come back to life five times,” he said, referring to repeated malfunctions of his pacemaker.